I am a HUGE fan of thank you! I think it is important and who doesn't like to feel appreciated. Sometimes a quick verbal thank you is fantastic. There is always a text, "Thanks so much!" 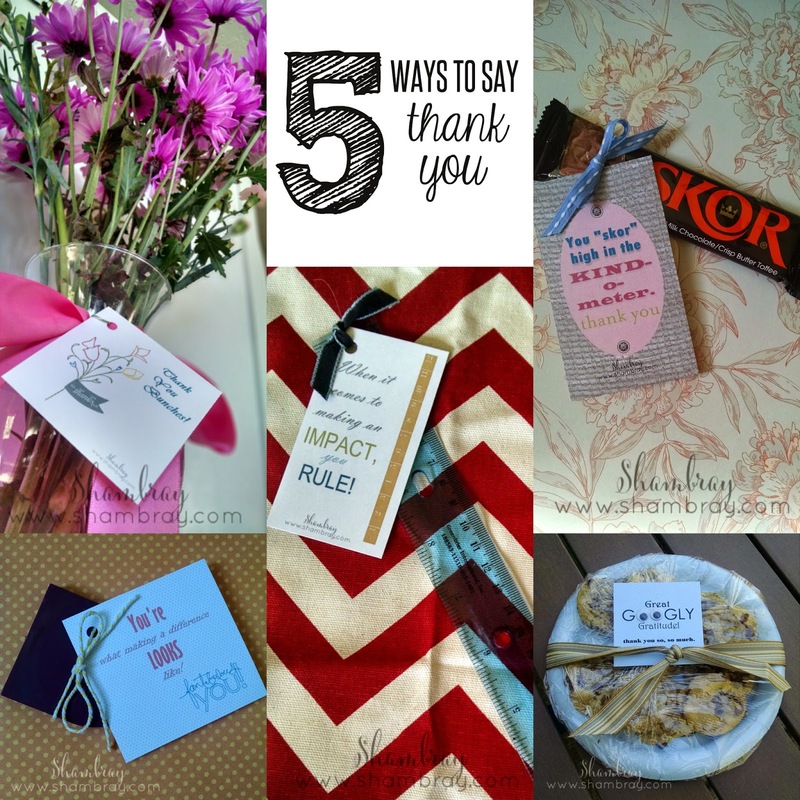 A handwritten thank you note can make anyone's day, but today I am sharing some creative ways to say thank you. I have five different ways and I have free printables to go with each of them along with gift ideas to add to the printable. Did I mention that every gift idea (except one) is under $1!!!!? They are very affordable, but are destined to make the recipient feel extra good! Simply print and cut the printables. If you want to tie them with a ribbon then great, but taping them to the item is wonderful too. I hope these make your life easier and that you can make someone else's day by a simple thank you note and small gift. Although this is the most expensive I only spent $4 on these! I always go to Smith's and they have a cart full of "Manager Special" flowers. I stock up on them all the time. Yes I buy myself flowers. I love fresh flowers and I especially love them when they are under $5! 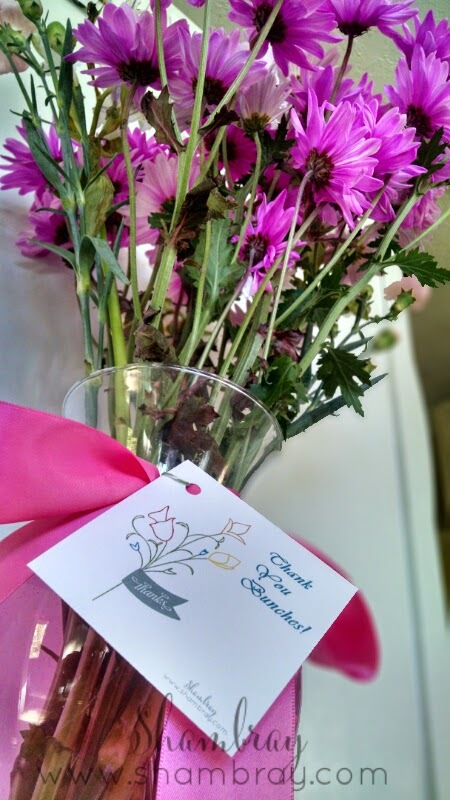 This is a great way to show a women in your life how thankful you are for them and what they do for you! You can just give the cute card if you want, but it is always great to add a yummy treat. You can give their favorite treat or anything homemade is good, right? Especially when it comes to chocolate! 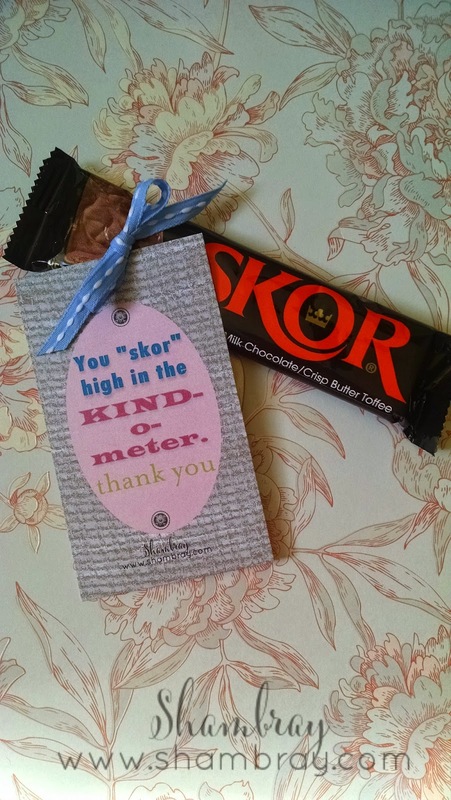 For those people in your life that love candy bars and toffee! If you want to attach a full length mirror that is great too. ;). Who doesn't need a hand held mirror for their purse or really anywhere you go! I use rulers for everything. I think I need one in each room. I'm joking, but I always seem to be grabbing my ruler. I love this gift for teachers too! 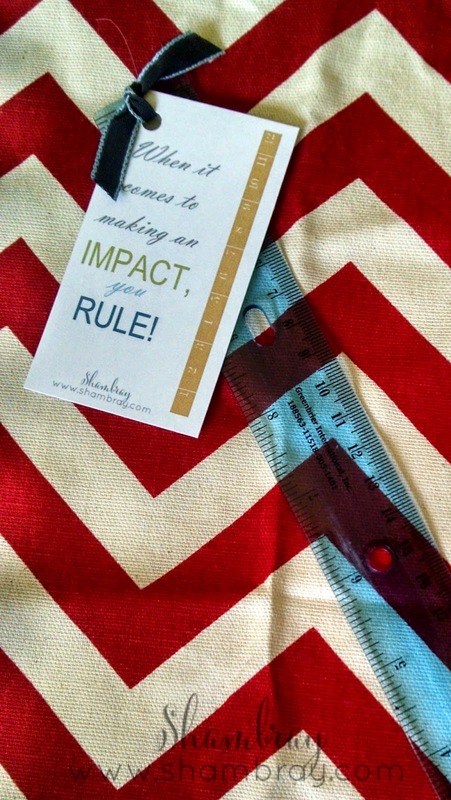 I hope these 5 ways inspire you to thank someone in your life. I hope it makes it easier to be able to click, print, and cut out the printables! What creative ways have you said thank you? Some of the sayings were inspired by this website. I have linked up with The Party Bunch, Monday Funday, Take-A-Look Tuesday, Too Cute Tuesdays, Party In Your PJs, Show Me What You Got, Look what I made Wed, Hit Me With Your Best Shot, Wow Me Wednesday, Whatever Goes Wednesday, Whimsy Wednesday, Show + Tell, Artsy Corner Thursday, The Creative Exchange, Your Turn to Shine, Thrifty Thursday Link Party, Handmade Hangout Party, Creativity Unleashed, Flaunt it Friday, Frugal Friday, Inspiration Gallery Link Party, City of Links, The Link Party Palooza, The Creative Collection, Friday Favorites, Frugal Friday, Fabulous Friday Party, Linky Party: DIY Inspired, Super Saturday! I love the cookies too! They are always good to get right? I think that is awesome you are trying to teach your kids that! They will grow up knowing how important it is. Great ideas! I'm always looking for a little something for volunteers, etc.! 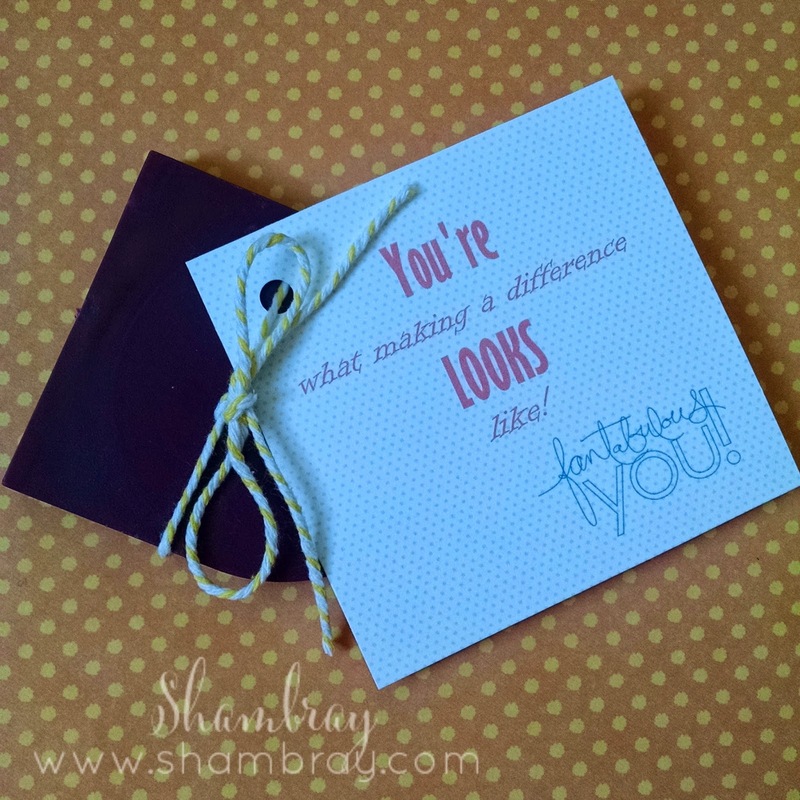 I love that you included printables too! I'm glad you enjoyed them! I love have things on hand too!